Today’s ISSF elections are a milestone in the history of the federation, as long-standing President Olegario Vázquez Raña retires after leading change in the sport for four decades. The 68th ISSF General Assembly started the Hilton Park Hotel in Munich, Germany, this morning at 9 AM. 224 delegates form 139 federations and 131 countries have registered to participate, and they will soon be called to vote the 7th President of the ISSF, as Olegario Vázquez Raña steps back after 38-year in the top seat, following a decision he made public in 2014. .
A complete new leadership will emerge from the meetings, as the General Assembly will elect also a new Secretary General (Franz Schreiber, who has been in charge since 2010, is not seeking re-election), four Vice-Presidents, a new Administrative Council, the Chairman of the ISSF Technical Committee, the Chairmen of the Sections Committees (Rifle, Pistol, Shotgun, Running Target, Judges, Statutes and Eligibility, Medical), the Auditors, and the ISSF Honorary Members. 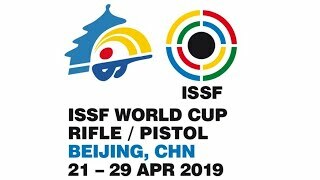 Two candidates are running for the position of ISSF President; in alphabetical order: ISSF Vice-President and President of the European Shooting Confederation Vladimir Lisin (RUS), and ISSF Vice-President Luciano Rossi (ITA). A third candidate, the President of the Lebanon Shooting Federation Jalkh Boutros (LBN), withdrew his candidature yesterday, 29 November. 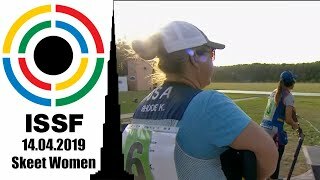 Five candidates are running for the ISSF Secretary General position, while 15 candidates are listed for the four ISSF Vice-President seats. This is announced to be a generational shift, after the 38-year long presidency of Vazquez Raña, who was first elected in the ISSF Administrative Council in 1978, and then became the President during the 1980 General Assembly in Mexico City. 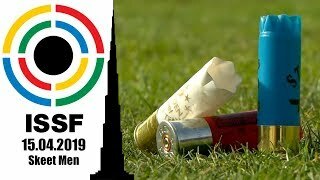 On the agenda of the delegates there are also the approval of the ISSF’s financial statements, a proposal for amendments to the ISSF Constitution, and - on day-2, 1st of December - the decision on the country to organize the 2019 ISSF Shotgun World Championship, and several other regulatory and administrative decisions.